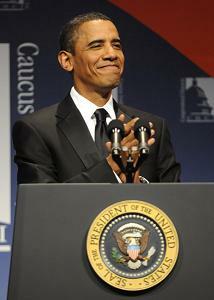 On Thursday December 10 U.S. President Barack Obama will receive the Nobel Peace Prize in Oslo, Norway. The Norwegian Nobel Committee announced its selection for the prize on October 9 of this year, less than nine months after Obama assumed the mantle of the American presidency and less than a month after that announced the doubling of his nation’s troops for the world’s longest-running war in Afghanistan. The first contingent of new forces, consisting of 1,500 Marines, is to arrive next week, right before Christmas. Ten days before the bestowal of the Nobel Peace Prize, the American president delivered a speech at the West Point Military Academy in which he pledged an additional 30,000 troops for a war now in its ninth year. His (and his predecessor George W. Bush’s) Defense Secretary Robert Gates hastened to add that 3,000 more support troops would be deployed, bringing the total to over 100,000, only 20,000 short of American soldiers in Iraq, and with as many as 50,000 more non-U.S. forces serving under the NATO-led International Security Assistance Force. In his West Point address Obama reminded his listeners that “When I took office, we had just over 32,000 Americans serving in Afghanistan….” He has ordered that number to be more than tripled. A brief report on Obama’s peace prize appeared on the CBS News website on December 7 with the seemingly paradoxical title “A Peace Prize for a War President” by the news agency’s White House correspondent, Mark Knoller. Neither the title nor the article it introduced was ironic. They reflected the straightforward truth. The feature stated “There’ll be no effort by Barack Obama to disguise or obscure the fact that he’s a war president when he accepts the Nobel Peace Prize in Oslo on Thursday. Those criteria have arguably never been honored or strictly abided by since the annual prize was first awarded in 1901. Several winners have been cited for helping to end wars – often by simply prevailing in them. One of the two American presidents previously awarded the prize, Woodrow Wilson, is such a one. Both Roosevelt in 1906 and Wilson in 1919 were standing presidents when they received the prize. The first had fought in Cuba during the Spanish-American War (the war he demanded a year before it began) and Wilson brought the United States into the First World War. The Spanish-American War inaugurated the expansion of the U.S. from a hemispheric to an Asia Pacific power. And an empire. World War I placed the American army on the European continent for the first time and signaled its emergence as a international military power. Theodore Roosevelt became president in 1901 when William McKinley, who launched the conflict with Spain and acquired Cuba, Guam, the Philippines and Puerto Rico as spoils of war, was assassinated; Wilson not only sent over one million soldiers to France but also deployed 13,000 troops to fight the new Russian government of Vladimir Lenin in 1918. But neither Roosevelt nor Wilson were commanders-in-chief of a war when they were given the Nobel Prize. And they received it for, at least in theory, contributing to ending wars; the Russo-Japanese War and World War I, respectively. Granting the Nobel Peace Prize to a head of state escalating a war already in its ninth year half a world away from his own nation is a precedent that was reserved for this year. Juxtaposition, paradox, irony, contradiction and so forth are terms too weak and inaccurate to describe the timing of the announcement of this year’s Nobel Peace Prize recipient, coming as it did between two pledges of military reinforcements for the world’s largest-scale and longest-running war. Travesty is a better word. Speculation was rife after October 9 regarding the Norwegian Nobel Committee’s rationale and motives for awarding Obama the prize, and press pundits were not amiss in offering explanations. But actions are more revealing than assumed or imaginary intentions and what the Nobel Committee has accomplished is to yet further tarnish its reputation and that of the prize it grants. Two years ago the prize was shared by Al Gore, who as the vice president of the U.S.’s first post-Cold War administration helped preside over deadly street battles in Somalia and bombing – incessant bombing – attacks in Iraq, Bosnia, Afghanistan, Sudan and Yugoslavia. And the launching of Plan Colombia in 1999, the latest fruit of which is the Pentagon’s acquisition of seven new military bases in the country and the resulting threat of armed conflict with its neighbors. Arranged by this year’s Peace Prize recipient. But, again, Gore received the prize years after leaving office and for work in an area unrelated to his former government posts. The current administration has, in addition to plans to boost combined U.S. and NATO (“our allies”) military forces to 150,000 in Afghanistan, dramatically escalated drone missile attacks inside neighboring Pakistan and, as the above quote demonstrates, declared western and southern Pakistan part of the expanding war theater. The president mentioned or alluded to the North Atlantic Treaty Organization several times in his address, in one instance with a degree of hyperbole that is as frightening as it is extravagant. “For what’s at stake is not simply a test of NATO’s credibility – what’s at stake is the security of our Allies, and the common security of the world. The entire world is threatened by a spreading cancer. This alarmist and crude phraseology was employed by a 21st century leader of the world’s superpower, a Harvard graduate, but could as well have been lifted from the lowest yellow journalism screed of the Cold War. U.S. National Security Adviser James Jones said in October that “according to the maximum estimate, al Qaeda has fewer than 100 fighters operating in Afghanistan without any bases or ability to launch attacks on the West.” Government estimates for Taliban fighters in Afghanistan are in the neighborhood of 20,000. This is the global cancer that requires 150,000 U.S. and NATO troops and an Afghan army of a quarter million or more troops. And a war that will continue well beyond the 2011 deadline mentioned in the West Point speech and be fought with intensified vigor and as far from Afghanistan as the Horn of Africa, the Arabian Peninsula and the Southeast Asian archipelago. With the deployment of “senior members of Mr. Obama’s war council,” as the New York Times characterized them, on the Sunday morning television news program circuit on December 7, the scope and the length of the already biggest and longest war in the world became undeniable. Little noted with the expansion of the war is that its range is widening as its intensity is deepening. The top U.S. Air Force commander in Europe and Eurasia, General Roger A. Brady, was in Georgia on December 7 and in the neighboring South Caucasus nation of Azerbaijan on the 8th to discuss both nations’ increased troop deployments to Afghanistan and solidifying strategic military relations. On December 4 the president of Georgia, Mikheil Saakashvili, who fought a five-day war with Russia in August of last year, spoke of his offering the U.S. and NATO 1,000 more troops for the Afghan war and ominously added: “This is a unique chance for our soldiers to receive a real combat baptism. Other nations are obtaining combat experience in Afghanistan under NATO auspices for use in and on the borders of their homelands, including, like Azerbaijan and Georgia, nations bordering Russia – Estonia, Finland, Latvia, Lithuania, Mongolia, Norway, Poland and Ukraine – as well as future belligerents in conflicts elsewhere like Colombia, South Korea and the United Arab Emirates. If the world’s sole superpower and its NATO entourage can employ the military necessity at will to advance their interests abroad, their “vassals” will be emboldened to do so nearer home and will receive the arms and training to execute their designs. Far from promoting peace, even an enforced peace, a Pax Americana, the war in Afghanistan and U.S. foreign policy in general are igniting power kegs around the world. If it can be argued that Obama inherited the war in South Asia from George W. Bush and is intent on “finishing the job,” his signing of the $106 billion Iraq and Afghanistan War Supplemental Appropriations in July and the $680 billion 2010 National Defense Authorization Act in late October belies any claim of objection to the enhanced use of the military in general and war in particular. Next year’s Pentagon budget is the largest, in both current and real U.S. dollars, since 1945, the last year of World War II. Although it contains $130 billion for the war in Afghanistan and the occupation of Iraq that previously would have been appropriated as separate supplemental funds, immediately after the signing of the Defense Department budget the chairman of the U.S. Joint Chiefs of Staff, Admiral Michael Mullen, stated “he expected the Pentagon to ask Congress in the next few months for emergency financing to support the wars in Iraq and Afghanistan,”  with the first request to be approximately $50 billion. With the announcement on December 1 of another Afghan troop surge, the Pentagon’s requests for “emergency financing” can be expected to grow in both size and frequency. As with the claim of a troop withdrawal (or “drawdown”) by 2011, the alleged ending of war supplements is a public relations ploy and sleight of hand trick employed to beguile a gullible public. Even in a world that over the last decade has been afflicted with such logical and moral affronts as humanitarian war and preemptive retaliation, awarding a peace prize to a war president represents a new nadir of cynical realpolitik and a flagrant endorsement of militarism, however well-disposed many may have been toward its most recent recipient.